I don’t know about you, but I love meatloaf, and my family does to. I’ve shared with you a while back my Easy Crock-pot Meatloaf Recipe that all of you seamed to really like. I though it would be fun to take the same delicious recipe and make mini meatloaves. So I tried it, and it was an amazing idea. Those mini meatloaves are delicious. In a large bowl, mix together all the ingredients for the meatloaves. In a small bowl, mix together all the ingredients for the glaze. Spray 12 muffin cups with Pam non-stick spray. 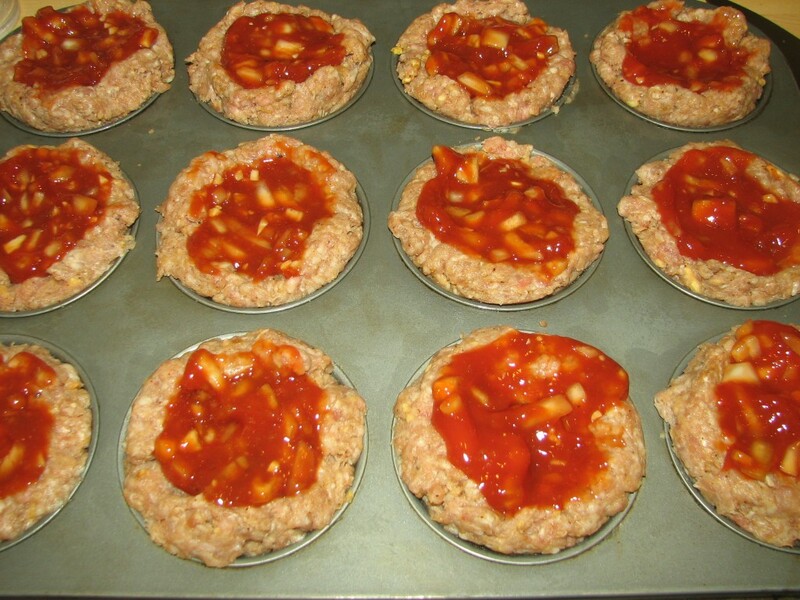 Fill the 12 muffin cups with the meatloaves mixture, making a indentation in the middle. Place in the preheated oven and cook for about 30 minutes (until meat is fully cooked). 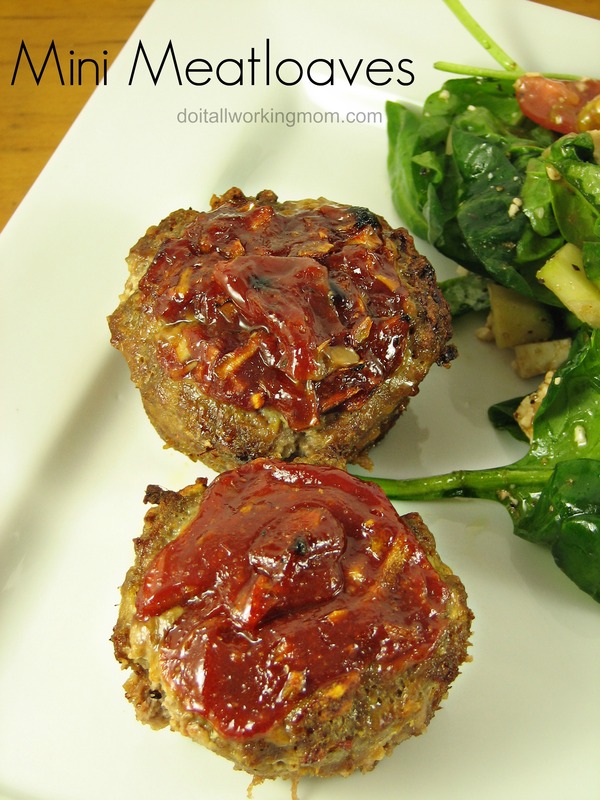 We make meatloaf cupcakes all the time in our house. They are one of my kids favorites. The’re one of my kids favorite also. These look great! They are the perfect size too when you have kids! Yum! What a great recipe! I know my kids will love these. They love meatloaf and cupcakes…these combine both! I haven’t used soda crackers before, just bread crumbs, and I will have to try those out. Oh, these are CUTE!!! Muffin tins are so versatile, I tell ya. Thanks for this idea! These sound really good and perfect for single me. Yes I do love meatloaf but always forget to make it! My mom makes these for me. I love them. Meatloaf is better in muffin form. This looks like a great recipe! I have a similar one on my blog that uses ground chicken. You should, they are succulent! I have always loved meatloaf. These little ones are perfect for taking on the go or to work for lunch. They are the perfect lunch for sure! This looks like such a delicious recipe. I will have to try it this weekend. It looks fairly easy to make. It is sooo delicious and really easy to make. I’m sure you family will enjoy. Minus the pork and they look great. I love the little pans! You can make them with just ground beef if you want. Still delicious! This looks like such a fun idea for dinner with the kids. We love meatloaf too and this recipe sounds easy and delicious. If your family likes meatloaf, they will love this amazing recipe.